For some reason my back is really painful today, not sure why. A chap came by the house in the morning to collect Dad’s old model boat that I had offered on ‘Gumtree’ for free. It doesn’t have the remote control and is very old but I could not bring myself to throw it away. Rafael is Polish (I think) and is a very nice man who seemed really excited as he explained that he was thirty two years old but had always wanted a model boat - it has gone to a good home. Later on I went to Tescos and was caught in a massive hailstorm. Cars were coming into the car park looking like it had been snowing. Our weather has gone rather crazy at the moment. I am hoping that it will be considerably warmer in Athens in a couple of weeks or so when we are heading off for 5-nights as my birthday present. 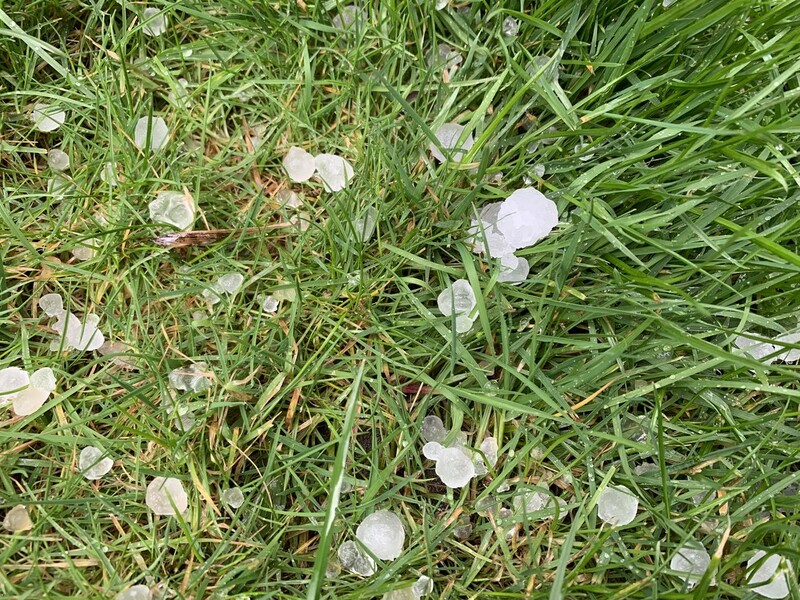 These are just a few of the hail stones on the lawn which earlier looked like it had snowed!